I worked on a hospital bed often beside patients who were on the observation ward! The next PT room in 2016, a better bed but still very limited space. After about a month in here the electricity stopped working! So we started the process of planning for this new building. We started funding in early 2017, construction started in June, little by little we got all of our funding and on Friday 29 December we officially opened the new building. The very next day we used the building was with a team of 6 PT's from the states. In the morning they were treating patients and I spent the week learning as much as I could especially on treating strokes and paediatrics. We used our staff devotion time to educate our staff, giving them assessment tools to decide when they should send a patient to physiotherapy. On Wednesday and Thursday afternoon we had 18 Haitian PT techs come from 2-5pm for education sessions. This was especially exciting for me. I have worked really hard to set up the PT network and its been up and down, getting people to be committed and see the benefits of the group has been hard. Doing the training was one of the reasons why I wanted to set it up. We want to promote sustainability and when we have PT's coming to train me, I want them to train as many other therapists as they can. On Friday afternoon we invited doctors and nurses from Bethesda and other clinics to come and learn more about PT particularly in regards to neurology and how physio can help. We also gave them some assessment tools to help with referral. 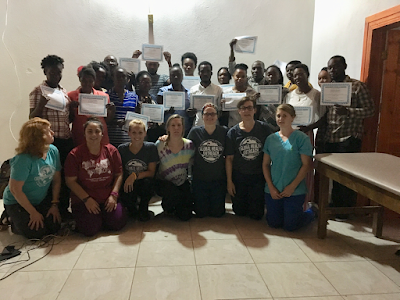 The next step was to employ a Haitian PT tech. The day before we opened the building I spoke with Dr Rodney that we really need a PT tech, especially after the team because there way no way I could see all of those patients for their follow up. I had a girl in mind, who lives in the area, who has been very committed to the PT network and treated a patient for me over the summer. Dr Rodney agreed with me and said he had someone in mind. Turns out it was the same person! Unfortunately we don't yet have the money to pay her salary but she has been volunteering with me and she is great. We would really like to employ her full time as soon as we can. A group of students from the PT tech school also came to shadow. 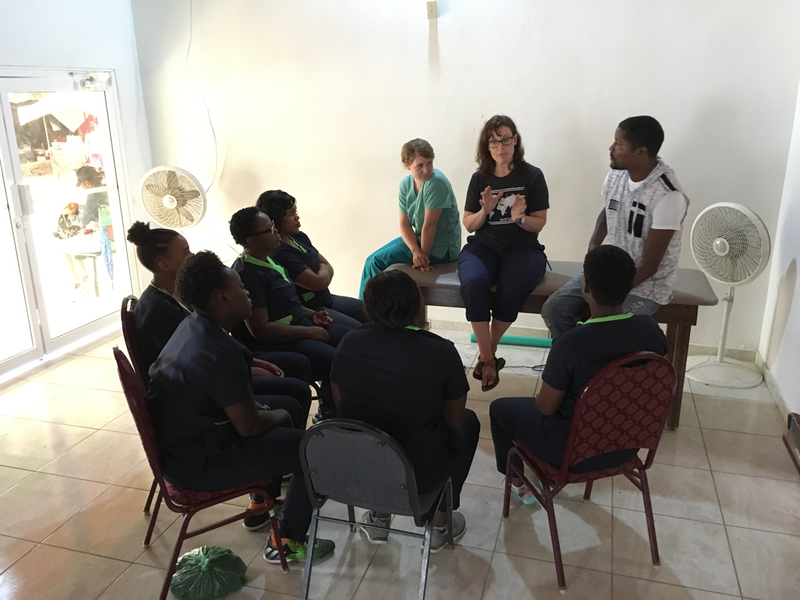 It has been so clear to me that this is God's plan for therapy in Bethesda and it is really even a miracle that the whole thing is completed, that the team has been and gone and that we already have a Haitian PT tech working alongside of me. One of the things I wanted to do in this new space was to run classes and for the past two Monday's we have had our stroke class. The first week each person stood up and told their story of how long they have been sick and how having a stroke affected their lives. I could just tell this was really important to them and they had not had the chance to meet together with other stroke survivors. Needless to say we didn't do any exercise the first week! Last week we did our 30 minutes of exercise then had a visiting nutritionist talk about the relationship between food and blood pressure. Each week we will take a different subject and educate patients and every 3rd week Pastor Daniel will come and do a devotional. Thank you for your prayers and financial support for this project, its pretty exciting to be here and see the whole thing come together. Please continue to pray that within this new building patients would not only find the physical help that is so needed but above all they would find spiritual help.